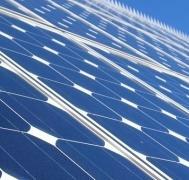 Local and county authorities have managed to attract in the city a group of German investors willing to invest in a photovoltaic park in Targu Carbunesti, an invenstment that will become the biggest in the city and the county. The photovoltaic park covers an area of 52 hectares and required an investment of over 47 million euros. The works for the park already reached 30% and, although is winter, the works go on. If weather conditions will allow to continue the works the photovoltaic park could be operational on 1st of April 2013, as scheduled.